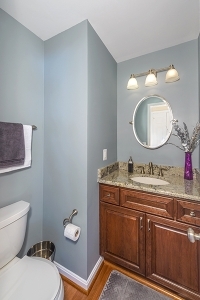 It’s no wonder with a return of 80-90% on investment that remodeling a bathroom is one of the best projects to update your home. Whether you need to spruce up a powder room, modernize a full bath or create a master bathroom oasis there are plenty of details to consider. Foster Remodeling has several design consultants to help you plan your project and select the materials that best fits your taste. Once everything is selected, our production staff will schedule the work to complete your bathroom remodeling on time and on budget. A powder room, although it’s a small space, can have big challenges. Usually with just enough room for a toilet and sink, using a larger mirror or pedestal sink can make the room feel more spacious. Lighter paint and tile colors combined with updated lighting certainly can make a small bathroom more inviting for you and your guests. A hall bath often has similar space constraints as the powder room with just enough space to add a tub. The typical hall bath is usually a shared space for more than one family member and needs to accommodate more storage. A well designed vanity or linen cabinet can provide an organized place for all of your necessities. A frameless glass shower door to replace the old shower curtain can increase the visual space of a bathroom by 30% as opposed to using a shower curtain. Using a unique tile pattern with recessed soap niches will make the added space even more enjoyable. The master bathroom can set your home apart from others in your neighborhood for resale as well as giving you a spa retreat you can enjoy every day. While some master bathrooms don’t have space for spa showers and separate soaking tubs, these features can be combined behind frameless glass with creative tile options that don’t have to break the budget. Heated floors are an excellent way to pamper yourself on a daily basis as well-especially in the winter time. 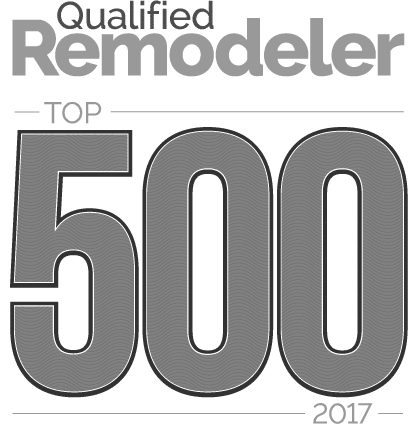 It’s no surprise that a bathroom remodel has great return on investment because it is one of the most used rooms on a daily basis. 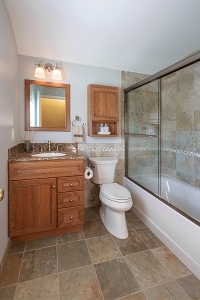 The Foster Remodeling team, with our proven design and construction process, has the experience to get your bathroom project done right, on time and within your budget. Schedule a Meeting with one of our Experienced Designers!